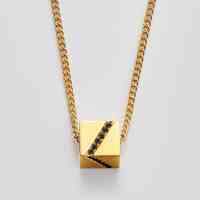 Geometry and Gemstones, this Jake McCombe cube pendant will lift any oufit you wear it with! 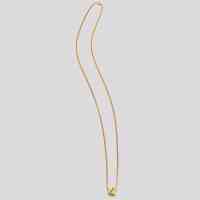 With gemstones set in 4 of the 6 sides there will always be a shine line on your neck! Personalise your own Fine Shapes pendant to suit your style. Choose from 18 carat rose, yellow or white gold, and a range of stones including sapphire, diamond and emerald for a unique necklace.